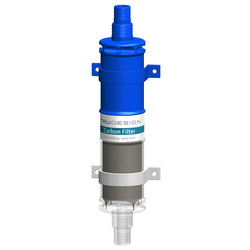 A Carbon Filter is a useful addition to a holding tank vent pipe to reduce the odour of decomposing sewage. 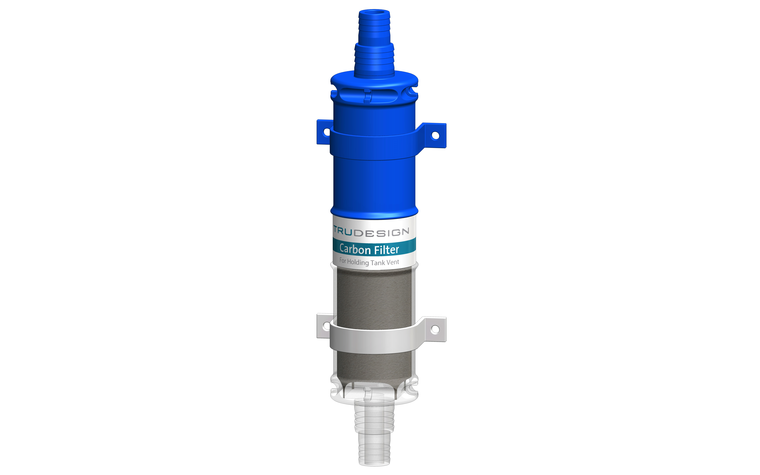 The activated carbon in the filter absorbs and converts the odours from your holding tank. Note: The Carbon Filter is not a substitute for good ventilation of the holding tank. It is designed to remove excess odour from a properly functioning holding tank. Holding tanks require good ventilation to ensure aerobic decomposition. Anaerobic decomposition due to lack of oxygen is the major cause of holding tank odour through H2S production (rotten egg smell).